Green flag awarded – again! 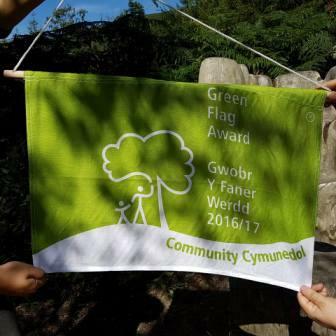 Once again Blaen Brân Community Woodland has won the prestigious Green Flag award. It is judged against a range of criteria – how welcoming, health and safety, cleanliness and maintenance, sustainability, conservation, community involvement and management. Needless to say, the woodland passed with flying colours , thanks to its members, volunteers, directors and the community who use it.